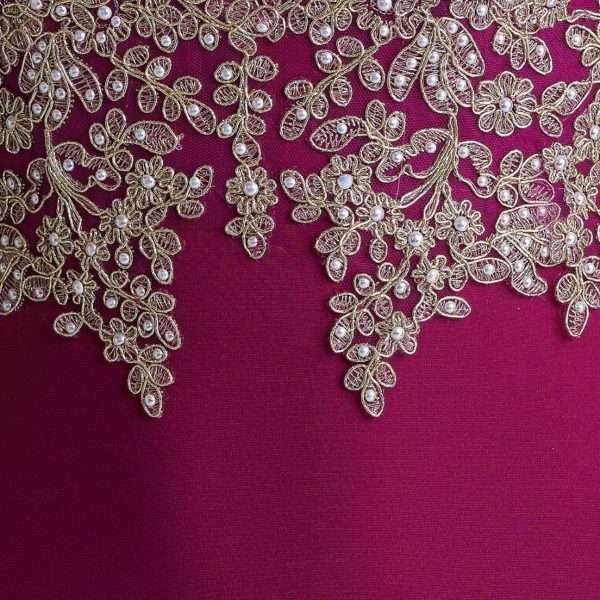 Miss blush magenta gold lace applique halter formal maxi dress. A stunning dress for your next formal, prom, debs or black tie event. This dress has exquisite gold applique detailing on the bust and the straps leading to a low back. 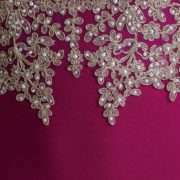 The appliques have little pearl embellishments added to the flower lace design. The magenta skirt is fitted to the hips with a side thigh split.